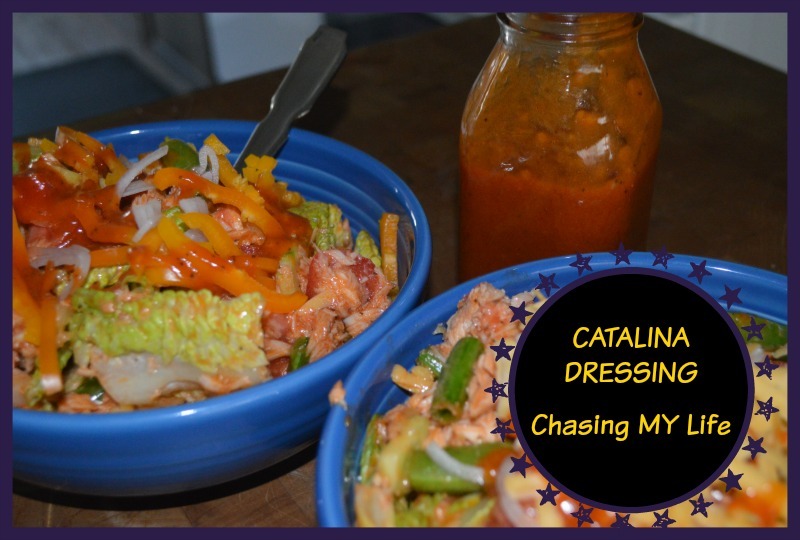 This time of year calls for salads at our house and hubby has been asking me to make some home made versions of two of his favorite dressings, Russian and Catalina. Hubby loves both of these recipes spiced up with a dab of Horseradish cream and/or smashed black garlic or minced garlic. In a small saucepan combine sugar (or honey) and water and simmer until thickens. Whisk together the avocado oil, ketchup, lemon juice, champagne vinegar and Worcestshire sauce. Add grated onion, celery seeds and paprika. In a small food processor, pulse together everything except the avocado oil until well blended. With the food processor running gradually add the avocado oil.